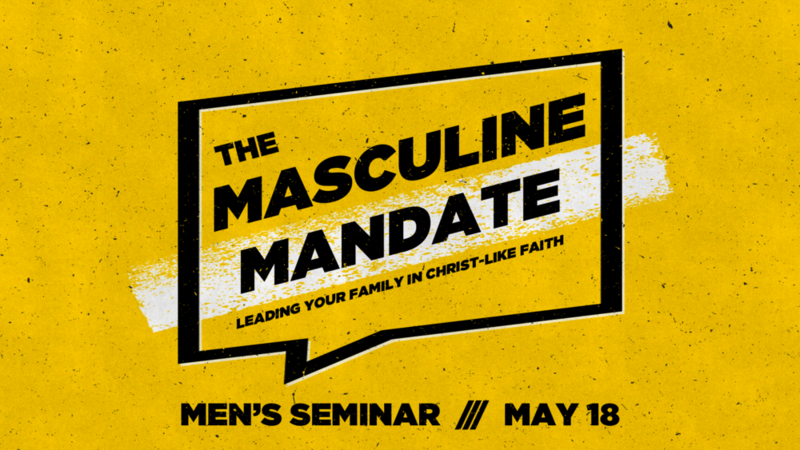 Sign up today for an all-you-can-eat breakfast followed by a men’s seminar, by John Teeples, on the important role that God has called each man to play in the life of his family. The Adult Discipleship Team is hosting this free seminar on the morning of May 18, from 8:00 - 11:00am. Every husband, dad, and grandpa is encouraged to participate in this potentially direction-setting event. We are looking forward to seeing you there! Please RSVP by May 12 by signing up on the Adult Activities Bulletin Board or by contacting Jim De Horn at jdehorn@frchudsonville.org.